Retail is in revolution, and progressive ideas are coming to the market. These changes aim to evolve the shopping experience and redefine how we interact with our favorite brands. 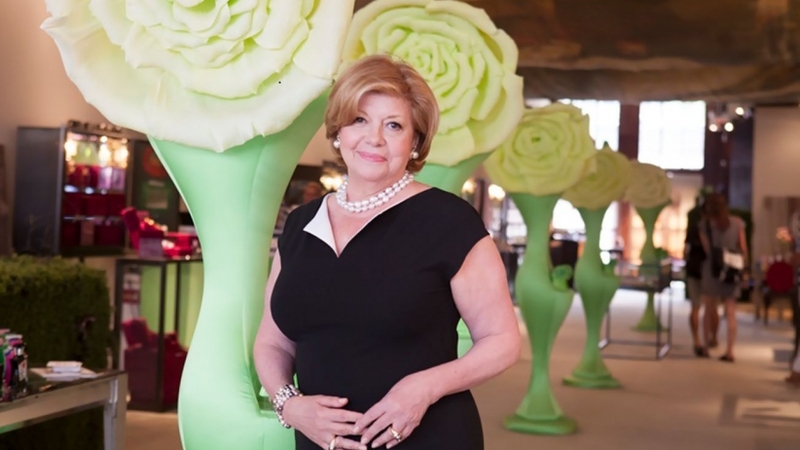 Faith Hope Consolo, renowned retail broker and consultant, has made it her life’s work to track these trends. She explores retailers' relationships with shifting markets and the overall shopping experience. In a recent interview, Consolo touched on some of the biggest factors that will shake up the retail game in 2017. Not surprisingly, millennial consumers are on the list. So are experiential marketing, transitional space and the expansion of online stores into brick-and-mortar locations. Here's a closer look at the forces converging to shape retail in the coming year and beyond. A store and interactive experience are in the works for Foot Locker, too. The athletic powerhouse will open a 36,000-square-foot House of Hoops flagship store at Broadway and West 41st Street. Other entertainment companies coming to New York City include Margaritaville inside the Brill Building at 1619 Broadway, and the Grand Ole Opry at nearby 1604 Broadway. Consolo tells us to watch for more perks at the mall, including concierge service, personal shoppers, coat checks, play areas for children and delivery services. “It’s all about elevating the shopping experience," she says. Retailers and designers are testing new markets with pop-up shops, and that trend will expand in 2017. In New York City, consumers already are getting a firsthand look at this phenomenon in the restaurant scene. Pop-up eateries and outposts allow startup and established foodies to dip a toe in new waters. “Food halls like Urbanspace are providing platforms for restaurant brands to try new venues in new neighborhoods," Consolo says. "These happen for short periods in a small footprint to gain exposure and test the market, just like for fashion." Consolo forecasts an increase in brick-and-mortar storefronts, quick on the heels of physical store openings for both Amazon and eBay. At the same time, traditional retailers are discovering that ecommerce grows around their neighborhood space and disappears if the location closes. To keep up, even established brick-and-mortar stores are expanding their ecommerce businesses. Actually, the two channels work quite well in tandem. Consolo points out it's the relationship between brand and shopper that counts. In that vein of thinking, online versus physical location becomes merely a question of delivery. The shopper assumes he or she will have both. As Consolo and other retail experts study these transformative opportunities, one thing becomes clear: The retail world never has been more intuitively focused on what appeals to shoppers.